Something I'd like to say before diving into the updates. I've been working on this player for a long time and I've been working on it as an individual with a full time job. Putting it on Early Access has allowed me to reduce my full time work hours giving me more time on Whirligig to improve and add features that people have requested. Anyone who has bought Whirligig in these first stages of commercial development has helped support me and allowed me and will continue to allow me to add more cool features. If you have enjoyed using Whirligig and want to thank me in any way other than paying for it :) please give some nice reviews on the Steam page. Anyone who as read through the reviews of Whirligig will probably be quite confused as to whether the player is any good or not as they seem to range quite dramatically from 'this a garbage and gives Early Access a bad name' to 'this is the best VR video player out there and well worth the price'. This is bloody confusing for me I can tell you. Hopefully the UI updates will help to improve the overall negative feedback. I want to continue to build on Whirligig adding features and improving the player on each update. 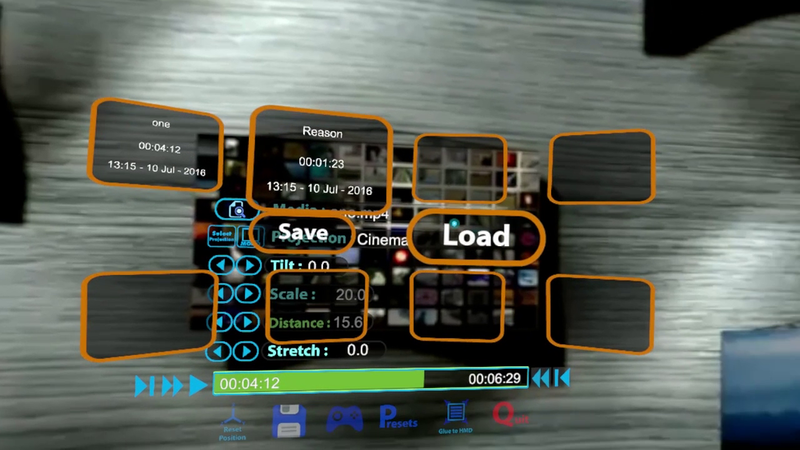 I am aware that my time for being one of the only VR video players out there are numbered but I do want to continue to make Whirligig something beyond a Video player giving options that no other player would have. Your support in both investing and giving feedback is incredibly important to me and I very much appreciate it. Thanks for your support and I hope you enjoy all of the new features in this version. All the best and happy watching. Well here is another big update. The large part of this update is that it is an update to the default build so bringing the default build up to speed with the beta builds. I've had to give up on Oculus and Unity fixing the mouse problem before updating as this doesn't seem to be something they are fixing soon. I've worked out the problem and if you use the mouse with the Oculus you are informed that you have to click outside the area and back in again to use the mouse properly. If you don't use the mouse then this message won't appear. So lets look at the updates from the previous default version. I've complete redesigned the UI. The old UI was designed for the DK1 and although useable was large and a bit confusing for a lot of people. It was also designed for keyboard control not mouse or crosshair control. What I've done to improve this is to shrink down the UI change the feel of it so it isn't so intrusive. I've designed the buttons to be more compatible with the feel of new UI interfaces and hopefully it is much easier to understand straight away. The original design did not have these options on them. This is because playing was a simple case of pressing fire/select and fast forward and rewind was left and right. However this seems to of confused a lot of people and also not having that familiar video controls puts a lot of people off. I've add them in and they are now a prominent part of the progress bar. although I have added these I am aware that I don't think I've got the order right. If people think it should be a different order let me know. 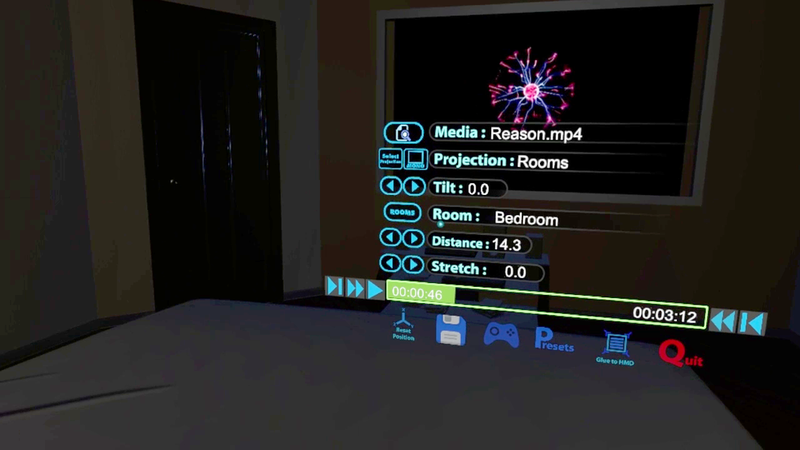 The left and right buttons for things like tilt and rotation makes sense but I don't think that this is user friendly for things like select projection, custom projection and rooms. These all have their own menus now that appear when you click the button next to the name. This makes a lot more sense and hopefully should improve the user experience considerable. 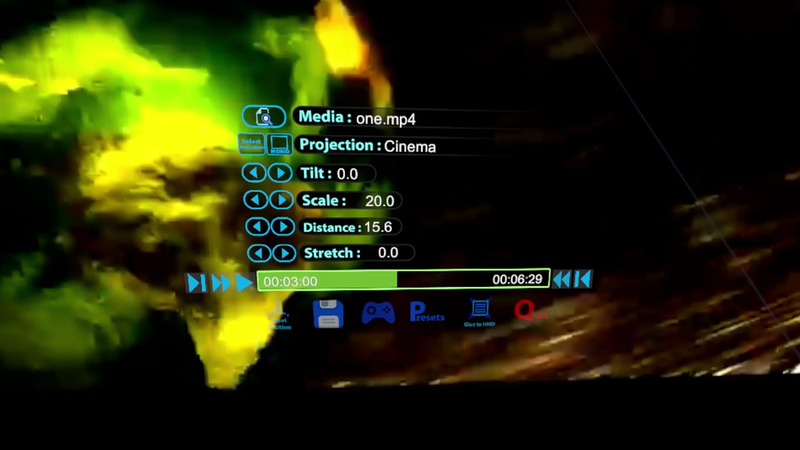 The custom projection option of Whirligig is one of the most powerful parts of the player allowing me to add bespoke options for cameras such as the Theta and weird projection formats such as the wide selection of cubemap options. The way to select this before wasn't the best I can think of, having to go through a list of options rather than just selecting the one you prefered. 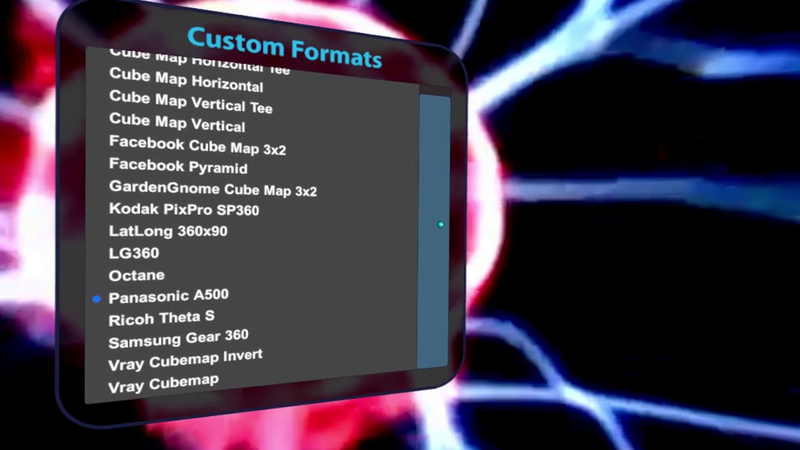 Now you can do this with all the customs projections being listed in it's own menu. This allows for the addition of new formats with ease and makes custom projections a proper feature of Whirligig. The explorer icon used to be above the UI. Now it is part of the UI next to the video name. I felt that this is a fundamental part of opening a new file and made sense to be part of the UI rather than a separate part of it. The Explorer has also been improved in a few ways including a better look and easier to grab scrollbars. The colour of the scrollbars have also been changed to make them more easy to see. For some reason people weren't noticing the scrollbar and thinking they had to have their films in alphabetical order or something. I've added a presets option. This allows you to save the settings of a video and then load it up with another video. I've added a way of turning all the menus off on the controllers so that they go to sleep when pushing the grips. This allows you to hide them easier when watching a film. The Xbox gamepad controller now uses a different control system which should remove incompatibility which some people were having problems with. It also means there is no need to have a dropdown option to select your gamepad. I've also added two new button options the two shoulder triggers. These are set left and right as default but can be change to any function in the same way that all the other buttons can. I've made many other updates since the last default update. I won't go into detail here but here is a list. Updated to the latest Unity3D build. Updated to the latest Oculus Build. 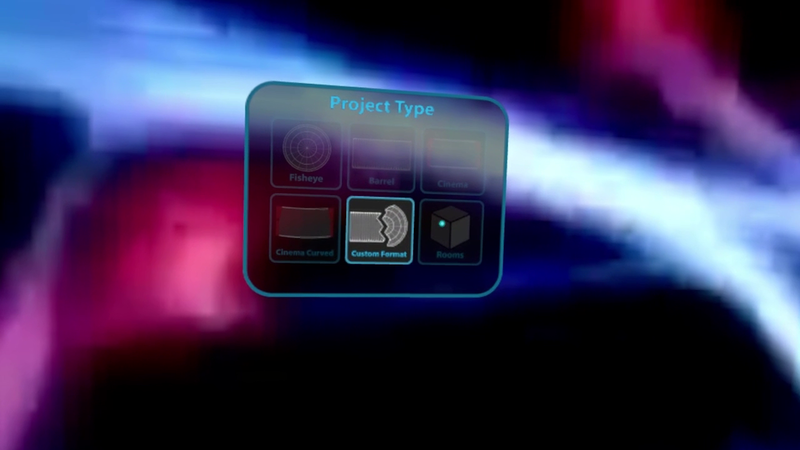 An ability to change the stereo separation on 3D films. An ability to change the SuperSampling for SteamVR. 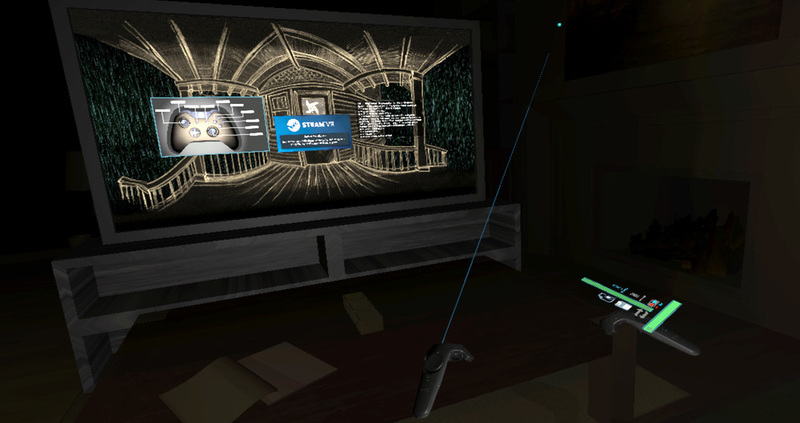 Defaults the Vive to right handed. Look of save slots improved. Mappable Gamepad options for hide and show menu added. Full player reset option. Do this by pressing ctrl, alt and tapping f9. And a load of bug fixes. I hope you like the UI update and if not let me know. As I said at the top of this post if you like the player and want to see it develop let me know and post some nice reviews. If you don't like it then also let me know. I want to fix problems and make it a player worth owning so all feedback good or bad as long as it's constructive is aprciated. So happy watching and I hope you enjoy the Whirligig experience.